Station #1 is our newest and largest station in the district. 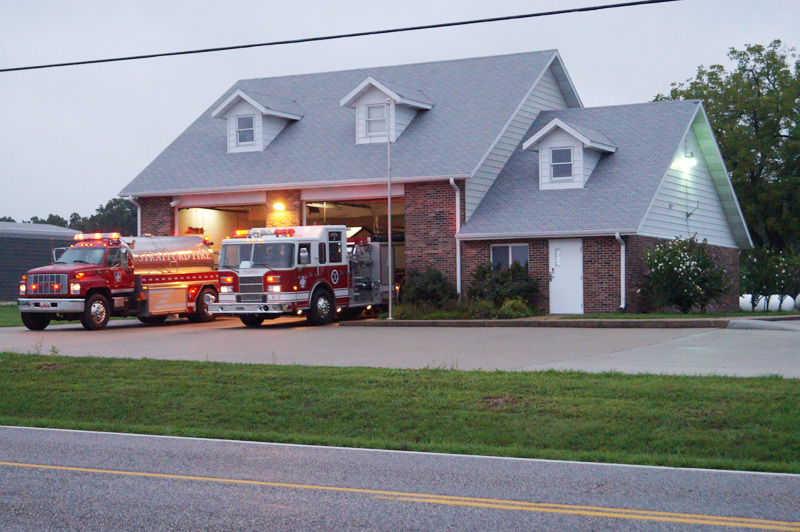 This Station houses one engine, one ladder truck, one rescue/brush truck, two tenders and our air/rehab trailer. The station is manned 24/7 by a career staff and a roster of volunteers. This station also houses our offices and community/training room. 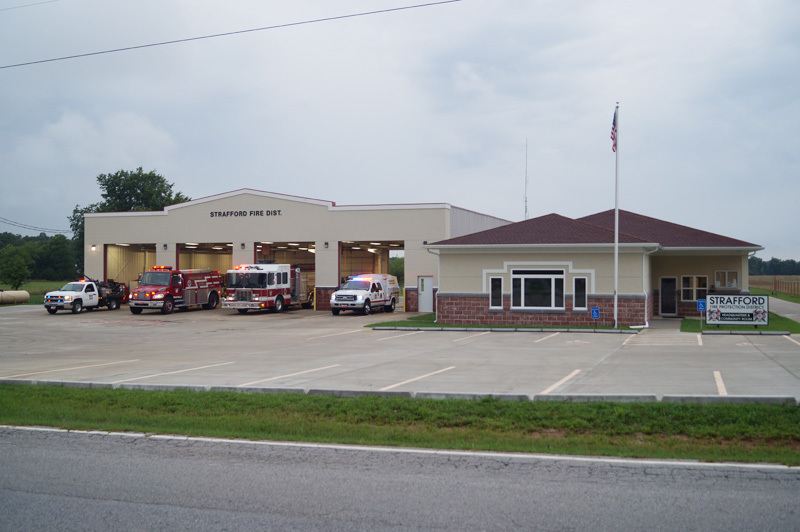 Station two was built in 1990 and had been used mainly as a volunteer station until 11/19/2013 when we started to man it with career staff full time. The Strafford Rural Fire Department was organized in 1957. After 30 years as a dues paying volunteer department, voters of the community approved the rural department becoming a protection district in 1987. Strafford Fire Protection District is with Brian Zaitz.